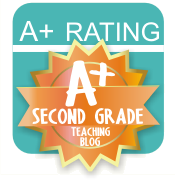 Smiling in Second Grade: Sunshine and an (almost) Giveaway! Ok, now the hard part. 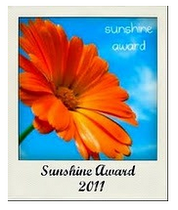 I'm going to send the Sunshine Award over to some wonderful bloggers, but there's so many good ones to choose from! Be sure to check out all those wonderful blogs that keep me inspired and motivated! And since I'm on cloud nine from my Sunshine Award, I am proposing a giveaway. I'm t-h-i-s close to 50 followers. Once I hit the big 5-0, I'll post a giveaway! Remember, Christmas (or buy-something-for-yourself-day) is coming! Thanks you so much!! You are such a sweetheart to include me!! Thank you for the award, I was so excited to read this!! I just found your blog! Loving it already! Your design is really cute...I'm trying to find the perfect one (if there is one) that fits me. Good luck on reaching your fifty! I am now a follower so you are closer now!